You are here: Home / DIY / Crafts / Upcycled DIY Ribbon Organizer You Can Make for Only Pennies! I was recently digging around in what I call my ‘bag of ribbon’ when I realized that I needed to find a DIY ribbon organizer to make my art closet a tad bit neater. Since I had no desire to spend a lot of money on a ribbon organizer, I hit Pinterest to see what inspired me. 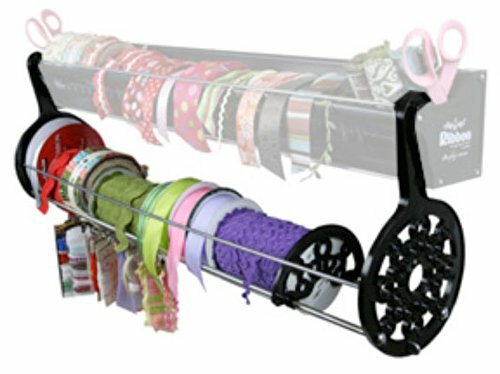 I came across several creative people who had taken household objects and upcycled them into a homemade ribbon organizer that is perfect for Christmas ribbon or any type of thin ribbon that you find in craft stores. 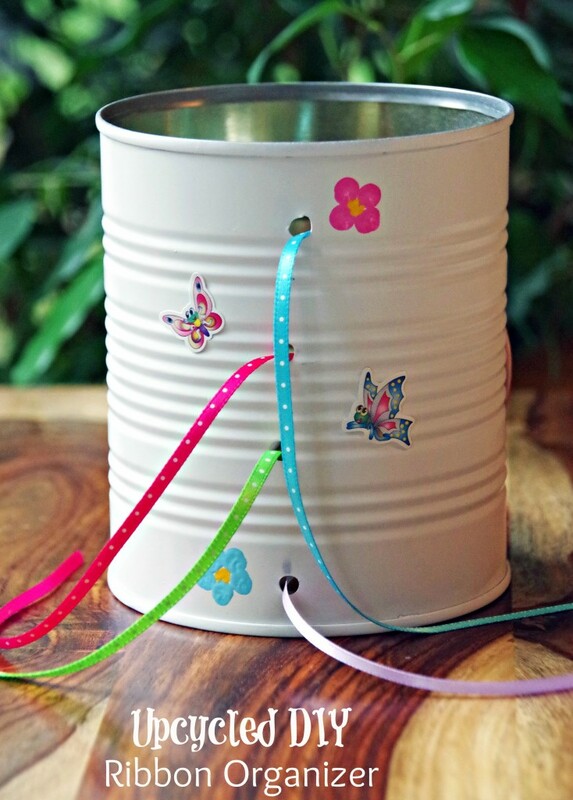 There are power tools involved in turning a tin can into a ribbon organizer but if *I* can do it, trust me…you can, too! I am not the handiest of people when it comes to power tools, but no injuries were sustained in the process! Let me know if you try making this and tell me how it goes! If you like crafts with power tools, check out my post about how to cut a wine bottle in half. There are LOTS of ways to reuse wine bottles! 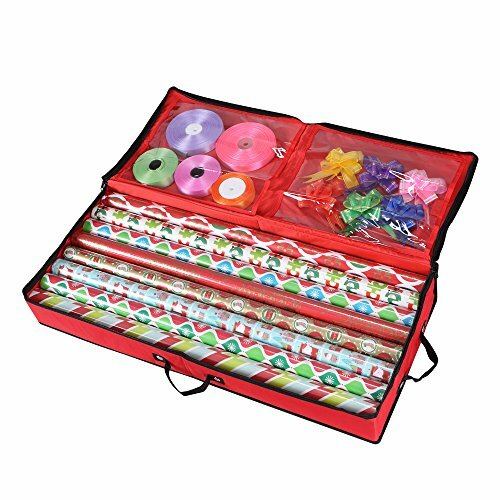 This upcycled DIY ribbon organizer will make your Christmas Wrapping Station OH so much more organized! Using a permanent marker, draw small dots where you want to drill the holes for the ribbon. I decided to go with 4 holes on each side of the can, one side smaller than the other to accommodate different ribbons. 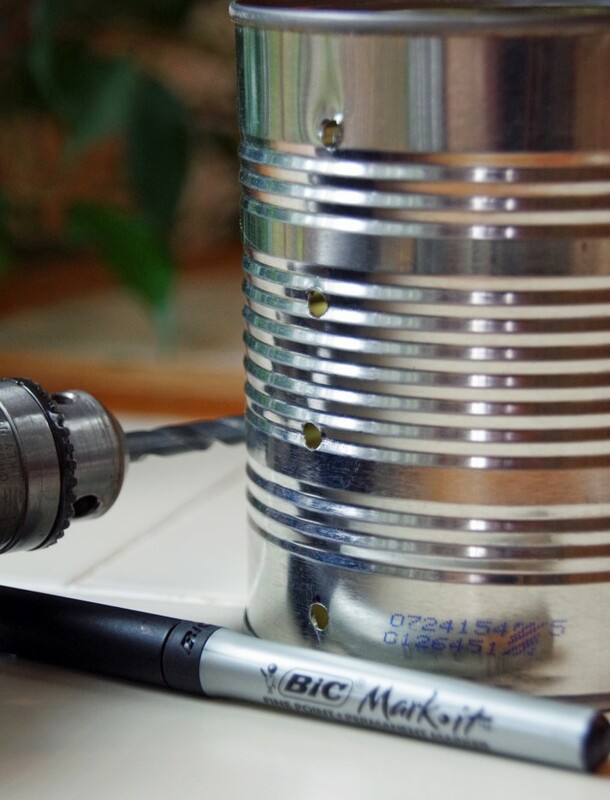 Using a power drill, carefully drill out the holes on the can. Make sure you hold the can securely so it doesn’t roll around and watch what you are doing to avoid injury! After the holes are drilled, the edges will be slightly rough. 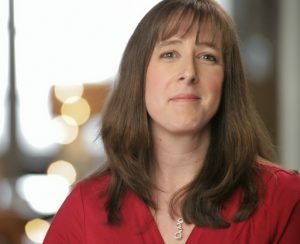 Use a metal file to file them smooth. Spray paint the can whatever color you choose. I went with white since that is what I had in the art closet but feel free to get creative! 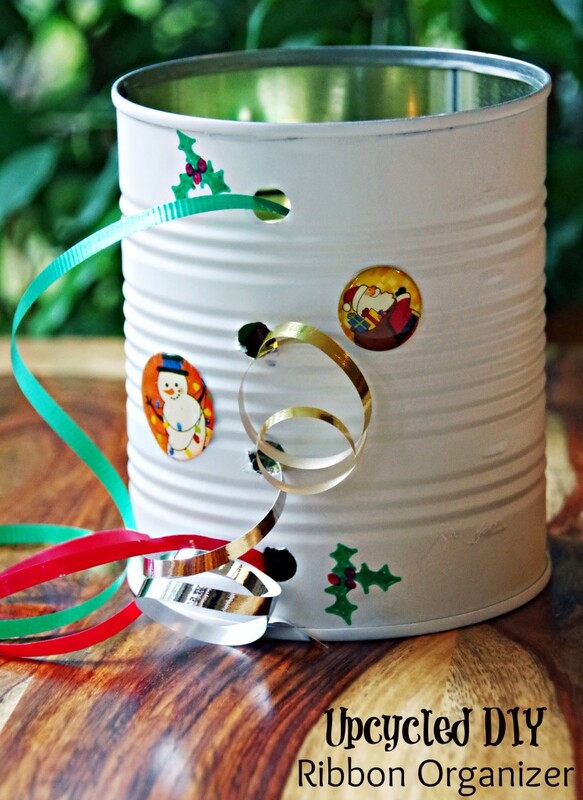 Decorate your can depending on your personal preferences. If your DIY ribbon organizer is holding Christmas ribbon, draw on some holly leaves. If your ribbon organizer is for birthday ribbon, use flowers, smiley faces or whatever inspires you! 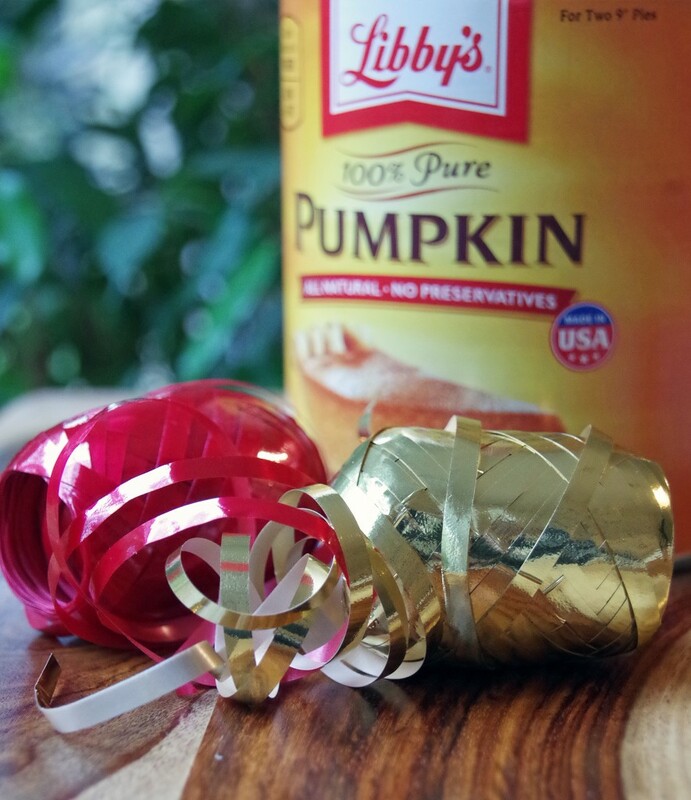 Tuck your ribbon inside the can and thread each one through the hole on the side. 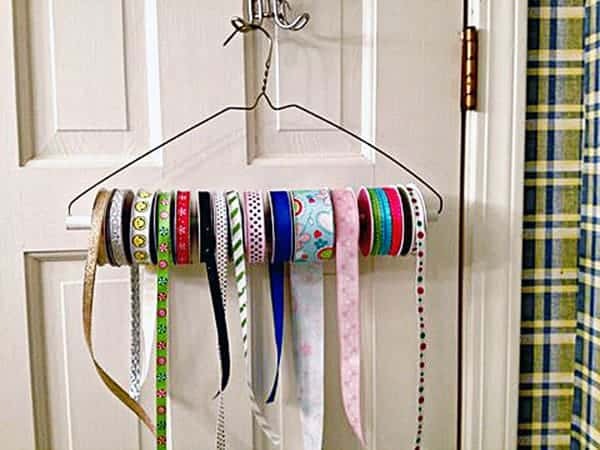 You now have an easy homemade ribbon organizer that cost only pennies to make! 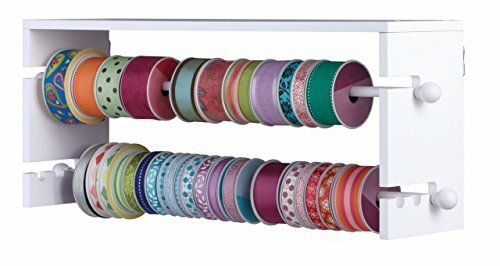 If you aren’t the crafty sort, check out ribbon organizers on Amazon (affiliate link!) instead! Have you ever made a DIY ribbon holder? What did YOU use? Don’t want to try power tools, check out this easy DIY ribbon organizer that uses only a metal hanger. Now that you know how to organize ribbon, get started cleaning up your own arts and crafts supplies! Then, personalize your gift giving with this easy DIY gift box! this is such a clever idea! I have quite a few ribbons that are all tangled and a mess, but with this I could have some organization. We so need to make this. My wife always buys ribbon on sale after the holidays and we have so many. Need this to keep them from being all tangled up! This is genius for the holiday season. We need a way to organize it without them getting tangled for sure.